This article is part of a series produced for Pantene. To view other articles, click here. She understands that not many people may know about eating disorders. After Jasmine posted a photo of herself showing visible weight loss, some people took it too far by saying that she looked anorexic. Jasmine, in an interview with GMA’s Balitanghali, warned people to be more cautious of their words. “For me, I personally know people who struggled with anorexia, so I hope people know to be more careful before they speak.” Instead of lashing out, Jasmine made the conscious decision to educate them about eating disorders. Jasmine took to the comments section of her post to explain, in a very light and positive tone, why she may have lost the weight. “There’s nothing to worry about,” she wrote back, adding that she’s doing more physical activities and eating clean (which may explain why she looks thinner). Jasmine knew better than to attack anyone on social media. She listens to her body. Apart from educating the public on eating disorders, Jasmine told Cosmo.ph that she even consulted a doctor to make sure that her body is healthy. She was advised to listen to her body and focus on how she feels, and following that guidance, she has since prioritized her body and its needs over what other people think about it on social media. She focuses on her happiness. Jasmine overcomes the hate with the help of a book she recently read called The Power of Habit. The book has helped her “mind her own business” and focus solely on her happiness. She shares that whenever she does something good, she’s not afraid to reward herself with food, even if others say that that will make her gain weight. Jasmine Curtis-Smith feels highly policed when it comes to her body, but she doesn’t let the haters get to her. Despite her insecurities, Jasmine is stronger now because she has faced the haters head-on with nothing but positivity and love. There’s only more happiness up ahead for this young star. 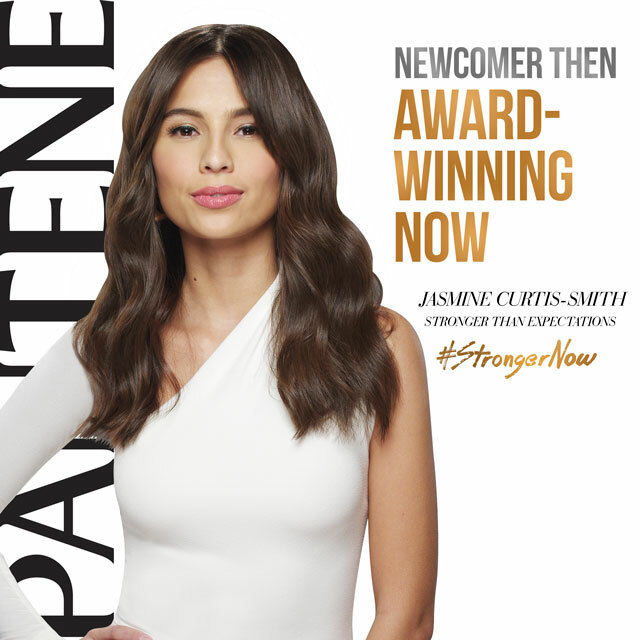 Look to Jasmine Curtis-Smith as an example to overcome your insecurities no matter what anybody says, and join the movement to be #StrongerNow with Pantene. Celebrate the modern Filipina by being empowered enough to overcome challenges and find fulfillment. To learn more about Pantene's #StrongerNow Campaign, follow them on Facebook.